VIVATURE USES SINGLE-BASED TECHNOLOGY TO BE YOUR ONE STOP SHOP FOR SPORTS MEDICINE MANAGEMENT. Using our single-based technology we can provide solutions for billing, claims discounting, verification of insurance, & utilization of our injury tracking software. 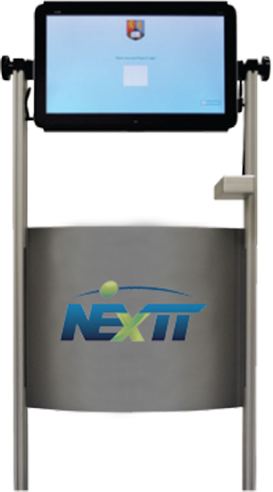 Vivature has developed the industry’s first biometric kiosk to check-in athletes when they arrive in the training room as well as allow the athletes to see scheduled appointments, repetitive treatments and perform self-documentation on things such as ice bags for preventative injuries. The kiosks are IP restricted so that the only way to gain access to the portal is to have a registered IP address for each training room. This means there is no way to access the system without it being tracked. We also lock all unauthorized websites except those associated with NExTT. In addition to the students the athletic trainers will also be registered in the software and their finger prints will bring up a different screen to help them document in real time.